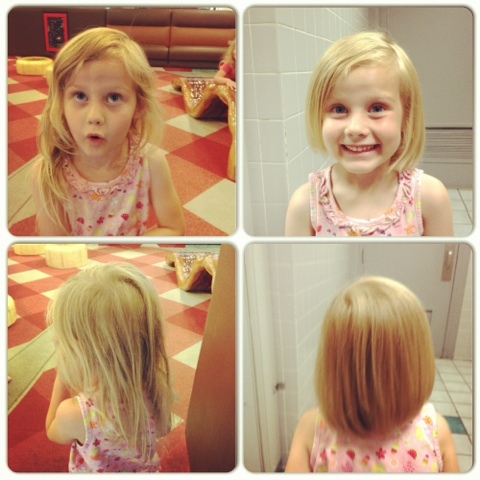 My little gal got her first "real" haircut this week - she's had it trimmed before but never gotten any length cut off. It keeps getting so tangly, though - we wanted something cooler for summer AND she requested shorter hair so off we went for haircuts. She looks so big! And her hair looks so nice & healthy now. So cute... we need hair cuts here to. Did you cut it yourself or professionally?